Suddenly running out of checks can temporarily halt business operations. While a lot of people simply call the bank and place a fresh order, it’s not really a great option for businesses. Businesses need to issue a lot of checks every year and, in a bid, to keep their expenses low, it makes sense for them to look around to find the best deals. This is more true for businesses that pay salaries using paper checks. Mainly because, a few cents of savings per check adds up to be a big sum. Following are 5 simple ways of saving money when ordering checks online. 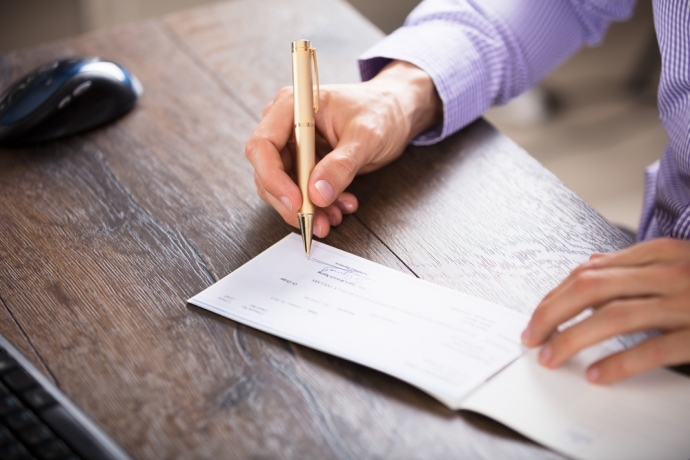 Buy Blank Check Paper: You probably didn’t know this, but you can print checks at home or office. You can buy blank check paper from Costco or an online check store and print on them using a check printing software. Business accounting software packages such as Quickbooks have in-built check printing functionality. Before you get started, make sure your printer is MICR toner compatible, because you need to print the account number and routing information using magnetic ink. Skip the Bank: When you run out of checks your first instinct would be to order a new checkbook from the bank. You are not the only one, a lot of people think that banks are the only “legit” place to get your personal and business checks. The thing is banks really don’t have the setup to print checks. This means when you order checks, they outsource the work to independent printers. These printers collect the information including routing number, account number, and customer details from the bank and they print the checks. This means when you buy checks from your bank you are paying the profit margins of both the independent printer and your bank. Thankfully, a lot of these independent printers have online websites from where you can order checks for cheap without compromising on quality. Order in Bulk: Whether you order it from your bank or an online check printer, ordering in bulk will always help you save more money per check. In fact, the more you order the less you pay for each check. However, this only makes sense if you know you are going to use up the check before a certain period of time. Personal account holders usually never need to write that many checks to justify a bulk purchase. Look Out for Special Discounts: One of the ways to score a bargain is to cash in on special offers and discounts. Some stores offer flat discounts on all items before the holiday season, which presents a perfect time to stock up on paper checks. Compare Rates: Let’s assume you need to buy 100 checks for your Bank of America checking account. Considering the standard rate is about $35 when you order from the bank you need to compare rates before zeroing in on the best deal. Keep multiple browser pages open and Alt Tab your way into finding the cheapest rate.